I found a great way to lock yourself out of every machine in your domain, just disable the RPC service. Since the netlogon service relies on RPC, if you disable RPC on your domain you will no longer be able to log into a domain account. Furthermore, the client won’t be able to talk to the domain controller, so even if you re-enable it, the machine will never know. Every quarter the Federal Desktop Core Configuration folks release new GPOs and VHD files which you can use to build machines which they deem ‘secure’. You can use these machines to test FDCC products (like Qualysguard). The machine they provide should show a ‘passing’ statement for each of the secure configuration items. 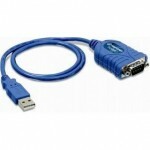 Once you’ve downloaded the VHD file, you’ll need a windows machine with Virtual PC 2007 installed. 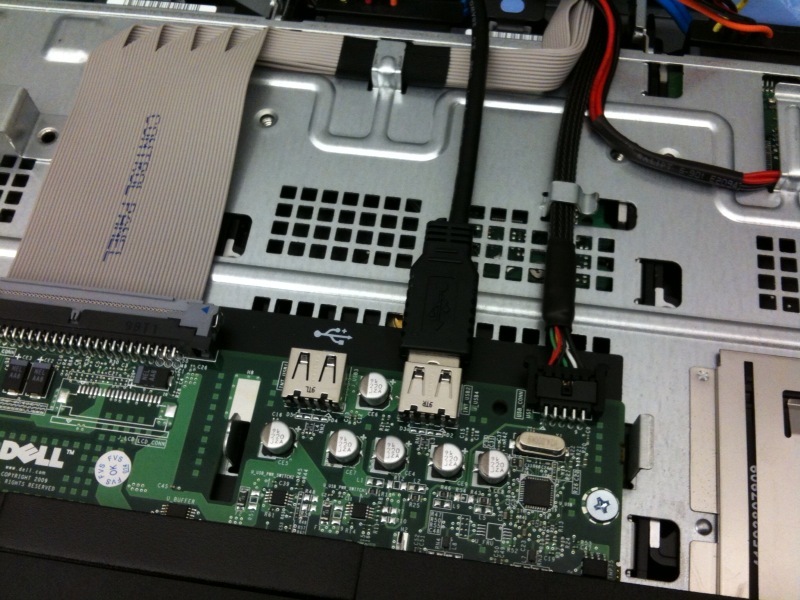 Create a new VPC machine and replace the VHD file of that machine with the one you downloaded. Then open VMWare converter and select “Backup image or third-party virtual machine”. Then browse to the VPC machine you recently created (for me its “\\10.10.10.92\c$\Documents and Settings\Administrator\My Documents\My Virtual Machines\win7alpha\win7alpha.vmc”). 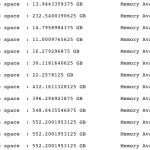 Select your vSphere host as your destination and let the conversion begin. With this server you can backup large amounts of data (like VMWare VCB backups) and all duplicate data will be ignored. 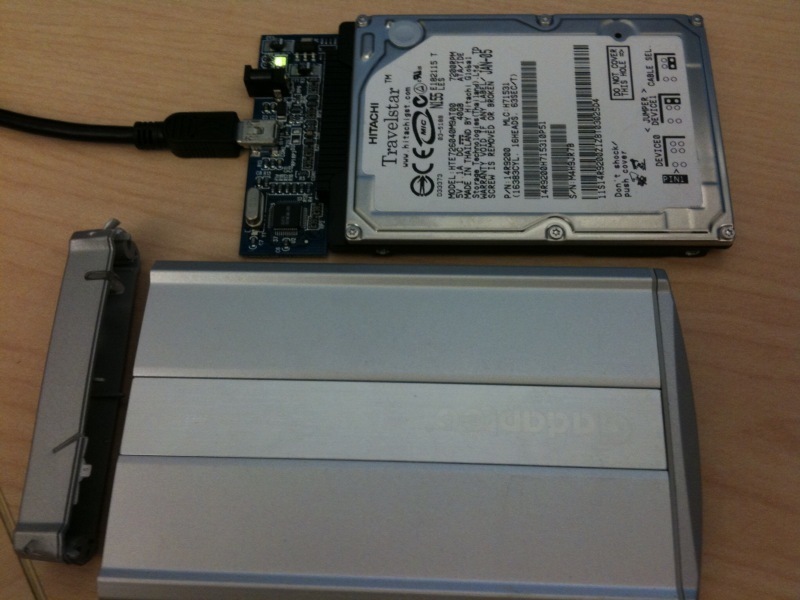 This will usually make 10 TB of backups less than 1TB. If it hangs on “Mounting Filesystem” then you are in good shape, do some copies to /dedup to make sure java isn’t going to crash. If you don’t see any error messages then its working. Now whenever you modify a dns record on the master, increment the serial number and restart the service (or rndc reload) the changes will propagate to the slave. Note: the serial is generally the date but it doesn’t have to be, start it at 01 (before you setup your slave) and increment it if you like. Thats it, modify your fstab if you want it to mount on boot. These servers are great if you only need 4 drives, but what if you want to LVM or RAID 4 of the drives and then have a 5th drive for the OS? There is no power available for a 5th drive, nor any space. Luckily there are 2 internal USB ports. You can use a thumbdrive but if you want better longevity or don’t want to have to tweak your OS for fewer writes, a 2.5″ hard drive will fit nicely, assuming you don’t have a DVD drive. 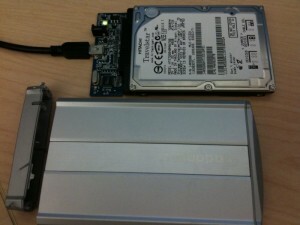 First, take a 2.5″ hard drive enclosure and remove the motherboard from the enclosure. 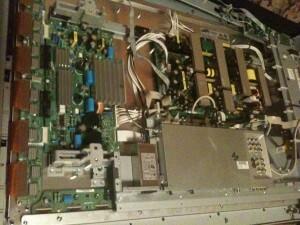 Then mount the drive where the DVD would be and run the cables to the USB port. I have a Samsung ML-2010 connected to a ubuntu desktop. Sharing it with my macbook was surprisingly easy. 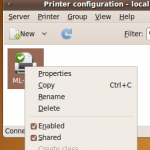 First make sure you can print locally on your ubuntu desktop. Then make go to Server -> Settings… and check the Publish.. and Allow… boxes. Then go to advanced and put in the info from this picture. If advanced is missing, right click and customize the toolbar, then drag the advanced button to the toolbar. If your printer isn’t available as a selection at the bottom, you’ll need to install the software. Setup a http load balancer in about 20 seconds using pen. First, make sure the server you are on is NOT running anything on port 80. Say you ran this command on the server web.domain.com, now when you access http://web.domain.com it will balance the request between web1 web2 and web3. See the man page for more details. This one leverages the VMWare APIs and queries all your hosts. You’ll need the VMWare Perl APIs installed on the system. It outputs to a web page so you can crontab it to run once a day and then just check the website when you need to see what memory or disk space is available on each host. Once you’ve modified that perl file, your ready for the good stuff. Make sure each host’s datastore has a unique name too. Configuring ipv6 with AIX was pretty easy, I used “smitty tcpip” to configure everything. I couldn’t find a solution anywhere but here is how I got it working. 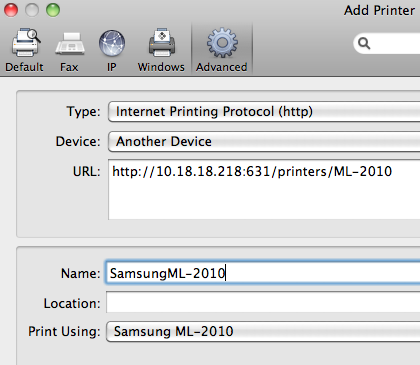 The printer is connected to windows 7 and shared with the name SAMSUNG. Click Add and you should be able to print from your Mac now. If you see “Could not acquire an authentication ticket for the query service: https://vcenter.example.com:8443/vms” try restarting the services VMWare VirtualCenter Management Webservices & VMWare vCenter Orchestrator Configuration. This error is received when trying to use the new global search box located in the upper-right of the new vCenter. Don’t forget to set the Orchestrator service to automatic if its set to manual, otherwise it wont start on boot. 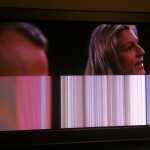 I bought a refurbished Philips 42″ plasma back in 2006 and today I noticed some strange behavior. The bottom half of the screen would either go black or experience extreme distortion. I figured it was hopeless but then I gave it a good kick and it fixed it. It would reoccur but it could usually be fixed with another kick. Of course this usually indicates a bad contact somewhere, but finding it might not be easy. Every connector has a different connection method, so go slow and be patient. Be especially careful with the wide connector on the bottom right of the main board, it looks kind of like an IDE cable, but it doesn’t have any pins- just exposed wires on a end of a ribbon. Underneath the boards there is some black padding; I reduced the thickness, as one forum suggested. This is actually a common problem with this model, the first links of the google ‘tv half black’ are all related to this TV. I’m using a Trendnet TU-S9 which I bought on amazon for $18. It uses the Prolific Driver (PL2303). I chose this one because it works natively on current linux kernels (2.6). Now I’d like to use it on my 13″ Macbook Pro running Lion. 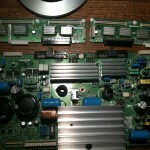 Now we need to configure minicom. It is a known issue that the vSphere client doesn’t work on win7 yet. Error parsing the server “<Server name>” “clients.xml” file. Login will continue, contact your system administrator. 2. Create a folder in the Windows 7 machine where the vSphere client is installed and copy the file from step 1 into this folder. 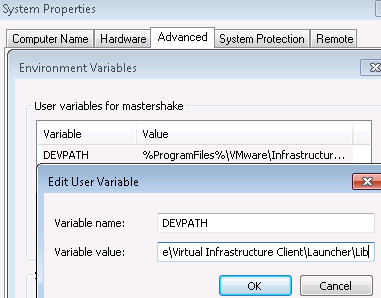 IE (%ProgramFiles%\VMware\Infrastructure\Virtual Infrastructure Client\Launcher\Lib). Reboot and the regular vSphere exe should work. This hack wasn’t hard but there was alot of information to sort through. 1. The twilight hack, which only works on firmwares before 4.0 and requires a copy of Zelda Twilight Princess. This exploits a known vulnerability in the game itself. 3. Bannerbomb, works on all known firmwares but isn’t a sure-fire as twilight. This is the one I elected to try. I followed the instructions here http://bannerbomb.qoid.us/ . This allowed me to install the homebrew app which I figured was all I needed, I was incorrect. After that I had to add http://wiibrew.org/wiki/FCE_Ultra_GX and http://wiibrew.org/wiki/Snes9x_GX to my SD card, following the install instructions. Then I put my ROMs in the folder and enjoyed some 8bit action! The iphone 2g included a dock, now with the 3G and 3GS, no dock is included. The dock can be purchased from the apple store for $29, but if you have more than one apple product, there is a far better option available to you. Enter the Griffin Powerdock. For $32 (amazon.com) you can charge 2 apple products at once. For $50 they have one that charges 4 products at once. Another benefit is that this frees up your power-to-usb connector and an ipod/iphone cable for other uses- throw them in your travel bag. It also looks cooler than the apple dock, brushed aluminium is superior to white plastic. 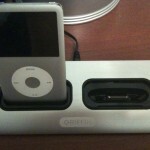 Powerdock includes adapters for all current ipods and iphones.